Descrip: Assessment of specific areas of standard compliance concern using process analysis, chart/document review, tracers or combinations thereof. Descrip: Explication and clarification of CMS and/or TJC standards as they apply to psychiatric hospitals and BHC programs. For programs, teams, professional disciplines and individuals preparing for Joint Commission Certified Accreditation Professional (JCAP) exam preparation. Descrip: Consultative advice on applicability and strategies for implementing standards in psychiatric hospitals and BHC programs. Descrip: Survey process run by former CMS or TJC surveyors designed to closely simulate the experience of an actual survey process with the benefit of strategic ‘time outs’ for training purposes. 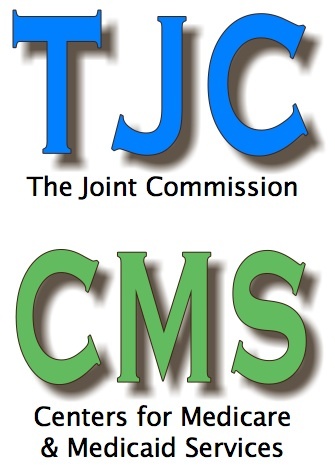 Descrip: Former CMS or TJC surveyor associate on special availability to provide survey management assistance and/or respond to standards questions during actual survey [Note: TJC Standards Interpretation Group is not available to organizations during survey]. Descrip: Customized 1-3 year plan and schedule of compliance maintenance activities.